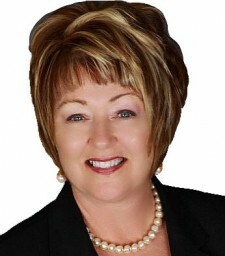 The U.S. Women's Chamber of Commerce regional director for Illinois and Eastern Iowa, Sally Rutledge-Ott, is hosting the Central Illinois Women's Economic Summit on Friday June 10, 2016 in Utica, Illinois. Utica, Illinois, May 11, 2016	(Newswire.com) - ​Sally Rutledge-Ott, ACE, NFPC, regional director for the U.S. Women's Chamber of Commerce Illinois including the Chicago Suburbs and Eastern Iowa, is proud to announce the upcoming Central Illinois Women's Economic Summit. This event, co-hosted by the U.S. Women's Chamber of Commerce and State House Rep. Andy Skoog 76th District, will take place at Celebrations 150 in Utica, Illinois on Friday, June 10. At the Women's Economic Summit, attendees will hear from keynote speakers about the economic impact of women in business in Illinois, learn about new initiatives to assist the continued development of diversity in purchasing, and take part in a discussion about the priorities that women need to advance their economic growth. Speakers will include: Margot Dorfman, CEO of the U.S. Women's Chamber of Commerce; Sally Rutledge-Ott, Regional Director of the U.S. Women's Chamber of Commerce for Illinois including the Chicago Suburbs, and Eastern Iowa, and the President of Ottsie; Valerie Ross, the manager of the Small Business Administration in Springfield, Il. ; State House Rep. Andy Skoog 76th District; State House Rep. Stephanie Kifowit 84th District; Traci D. Ellis, Attorney at Law; Cynthia Koskiewicz, Business Confidence Coach; and special guest Colonel Jill Morgenthaler, U.S. Army (Ret.). Pre-registration is required by June 7, 2016. Register online at uswcc.org – Central Illinois Women’s Economic Summit. The U.S. Women's Chamber of Commerce (USWCC) is the leading advocate for women on economic and leadership issues. As the economic leader for women, the USWCC creates opportunities, drives progress, advocates, and provides tools and solutions to support the economic growth of women across America. The USWCC ( http://www.uswcc.org/ ) is a not-for-profit 501(c)6 organization founded in 2001 with over 500,000 members; its headquarters offices are located in Washington, D.C. Contact the USWCC at 888-418-7922.